This course bundle is an excellent way for those already working in child care to gain marketable skills in child psychology. It is also a great way for anyone new to both disciplines to begin a challenging and rewarding career supporting the health, safety and development of children in need. Whether you already work in psychology and wish to broaden your specialisms into early years and child psychology, or you are simply interested in the inner workings of a child’s mind and development; our Early Years and Child Psychology Level 3 Bundle can help you to delve into this world. 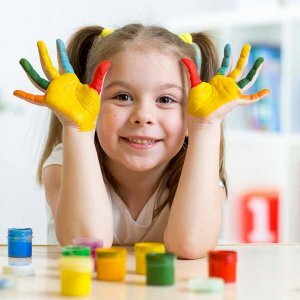 This unique distance learning course can provide you with an in-depth insight into all areas of early years and child psychology; enabling you to develop a thorough understanding of the early years foundation stage, as well as a deeper appreciation of the latest guidance on children’s development, health, safety and welfare. Most importantly, this course has been purposefully tailored for home study, so you can experience the freedom of being able to study when, where and how you want without having to sacrifice your current commitments. No pressure. No deadlines. No examinations. No classrooms. You can achieve the perfect work-study balance, and study from the comfort of your own home; all whilst acquiring a fascinating view into the minds, development and behaviour of children as they grow from babies to pre-schoolers to beyond. At the same time, you will be afforded the opportunity to demonstrate your commitment to the child care sectors to potential employers. Our course covers everything you need to secure your dream job working in child psychology, whilst providing you with the tools to successfully mould, assist and support children in need of a helping hand. From their emotional, social and moral development, to the importance of language and communication; with a full 2 years to complete this course bundle (1 year per course) you’ll feel confident in your ability to build a career within this fascinating field. Split into 2 sections – early years and child psychology – this course bundle aims to enlighten, enrich and broaden your understanding of the real life applications of child psychology, so you can confidently explore a wide range of careers. Even if you are a parent simply striving to understand your child and what can affect their growth and learning; each of the 12 units taught on this course, will develop your competency so you are able to form positive relationships, and provide an enabling environment that will nurture, support and awaken their learning potential. This distance learning course is assessed using a series of written assignments that are designed to test your knowledge of the syllabus taught on this course. These assignments will be submitted – via mail or by email – to your personal tutor, who upon marking your work, will also supply you with valuable feedback and tips which can be used to boost your grades. No external examinations are required. No prior knowledge or experience is required to enrol onto this course bundle. Nor do you already have to be working within a childcare, education or psychology environment. Upon successful completion of this course you will receive a Certificates of Achievement in Child Psychology Level 3 by ABC Awards and a Learner Unit Summary (surmising all the units you have completed). Designed by Open Study College to meet learners and employers requirements, this course is endorsed under the ABC Awards Quality Licence Scheme. This means they have undergone external quality checks to ensure both their organisation and their courses meet a high standard. The completion of this course alone does not lead to an Ofqual regulated qualification, but can be used as evidence showcasing your knowledge and skills towards other regulated qualifications (Recognition of Prior Learning). ABC Awards are a national awarding organisation that have spent years developing high quality vocational qualifications across a variety of industries. They have a comprehensive portfolio of over 650 Ofqual regulated qualifications on the national Qualifications and Credit Framework (QCF) which are suited for all ages and abilities. 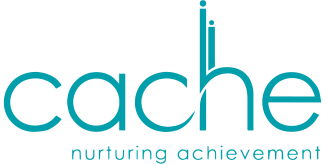 You will also receive a Certificate of Achievement by Training Qualification UK (TQUK) in Early Years Level 3. This course has been designed by Open Study College and is endorsed by the TQUK. This means they have undergone external quality checks to ensure they and their courses meet a high standard. Similar to the Level 3 Child Psychology element, completing this course does not lead to an Ofqual regulated qualification; however, you can use it as evidence of knowledge and skills towards future regulated qualifications. From our detailed course materials and comprehensive study guides, to our dedicated personal tutors and student support team; from the moment you enrol onto this 2 year course you will never be alone. We take pride in being able to support our students throughout their studies, and aim to be accessible both by mail and by email so you can always reach our team.